Most recently, Mr. Van Der Vaart was Vice President of Room Operations for Hyatt Hotels and Resorts. Prior to joining the corporate offices at Hyatt, Mr. Van Der Vaart was the General Manager at multiple Hyatt and Marriott properties in Florida and the Caribbean. To care for people so they can be their best. Set on a nearly-untouched Caribbean island within the Christophe Harbour development on Banana Bay, Park Hyatt St. Kitts offers the unparalleled Park Hyatt experience for discerning leisure travelers. 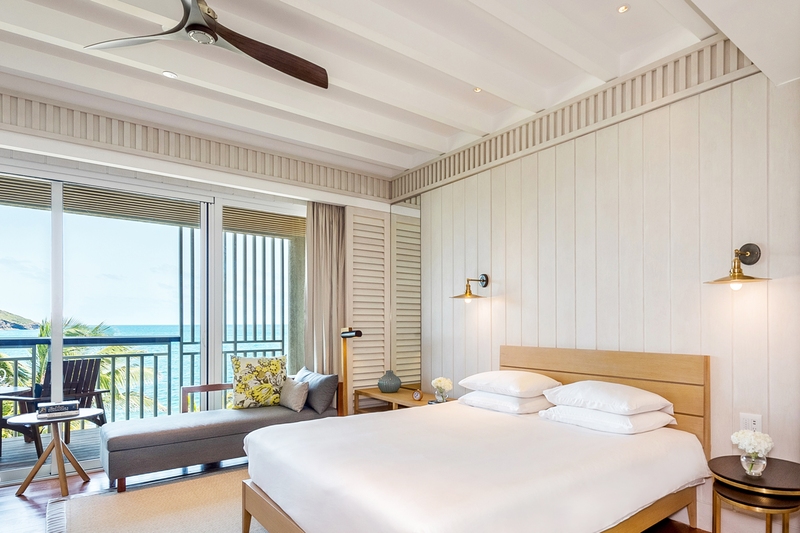 Our spacious guestrooms and suites combine contemporary architecture with a timeless, colonial feel that taps into the rich historic roots of St. Kitts. Many of the suites offer individual rooftop pools with spectacular views of the beautiful island of Nevis, surrounded by turquoise Caribbean waters. 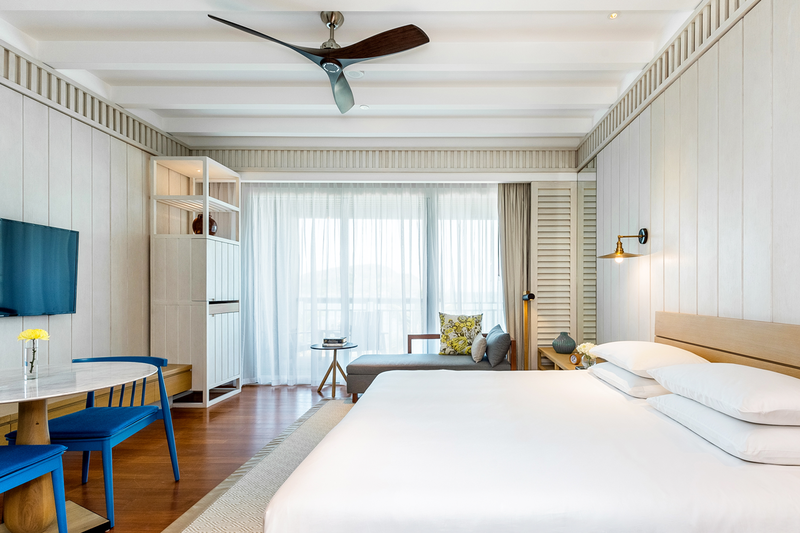 The Resort is inspired by the former sugar plantations which are reflective of times past. Park Hyatt St. Kitts is nestled on Banana Bay, on the South East Peninsular, offering golden sand beaches and crystal-clear waters, overlooking The Narrows, a strait separating St. Kitts and Nevis. The resort is located a twenty minute drive from Robert L. Bradshaw International Airport. There are several restaurants and bars in the vicinity and nearby bays, such as Cockleshell Bay (5 min walk) and Frigate Bay (10 min drive). 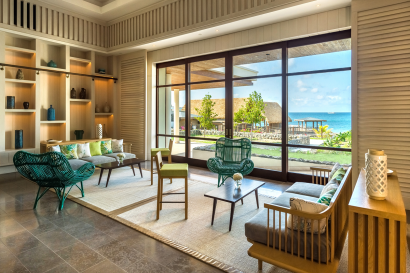 The beachfront location offers swimming in the warm Caribbean Sea together with non-motorized water sports, whilst motorized watersports, golf and tennis are available nearby. The majestic hills which surround the Resort offer hiking with rewarding views of the Island. Our Concierge team can assist with organizing excursions such as horse riding, zip lining or climbing dormant volcano, Mount Liamuiga. Or for those seeking a more historical experience, Brimstone Hill Fortress, Caribelle Batik at Romney Manor and Fairview Great House and Botanical Gardens await. No visit to the Island is complete without a trip onboard the St Kitts Scenic Railway discovering the relics of the sugar cane era. 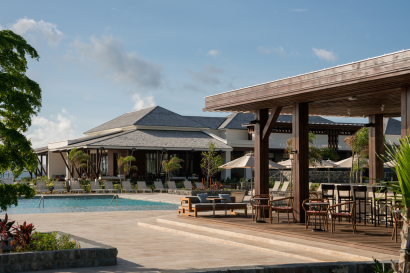 The Narrows Swim Challenge takes place every Spring from Nevis to the beach at Park Hyatt St. Kitts. At approximately 2 miles, the record to beat is 58 minutes and 9 seconds! The resort has it’s own on-property Sugar Mill which is the ideal locale for yoga and meditation. The Ramparts Pool, which is the resort’s adults-only infinity pool, is designed to replicate the Brimstone Hill Fortress – a UNESCO World Heritage Site. The resort has it’s own herb garden filled with tarragon, broad leaf thyme, rosemary, spring onion, micro and regular basil, local moringa. The Island Fort is designed for children from three to twelve years old. The little ones are more than welcome to join the fun accompanied by their parents, adults in charge, or a babysitter. Activities range from Masquerade Hat Making and “Pelican Quest” to Calypso Workout and Superb Herb Adventure. Park Suite (3) – 708 sq. feet, king bedded suite facing towards the beach/sea with resort views. Beachside Suite (12) – 678 sq. feet, king bedded suite on the ground floor with terrace, enjoying views of the beach. 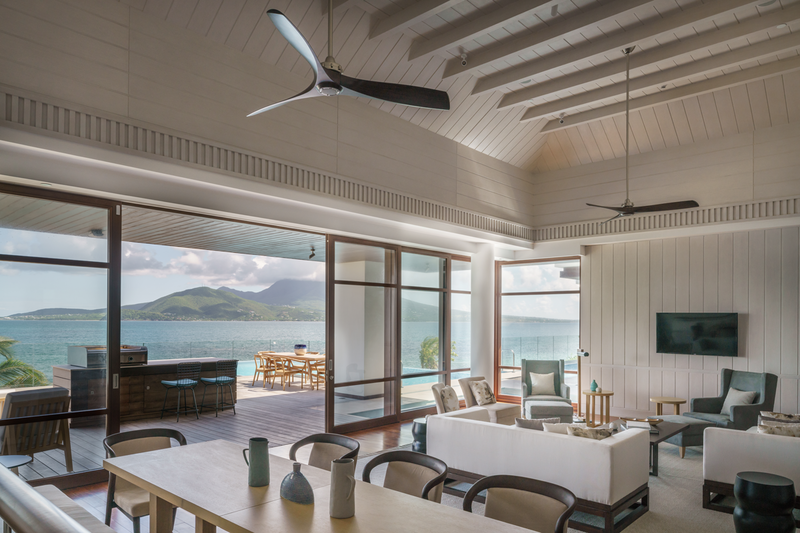 Sea View Suite (10) – 678 sq. feet, king bedded suite with balcony and views over Banana Bay and the Caribbean Sea. Nevis Peak Suite (12) – 678 sq. 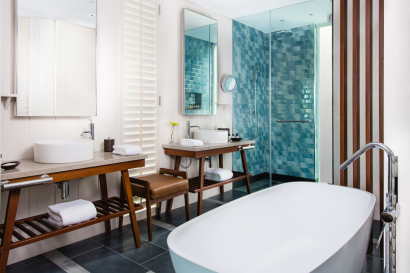 feet, king bedded suite with plunge pool and relaxation terrace. The top floor Nevis Peak Suites are flooded with sunlight, boasting breathtaking views of the Caribbean Sea and Nevis. Park Executive Suite (7) – 775 sq. 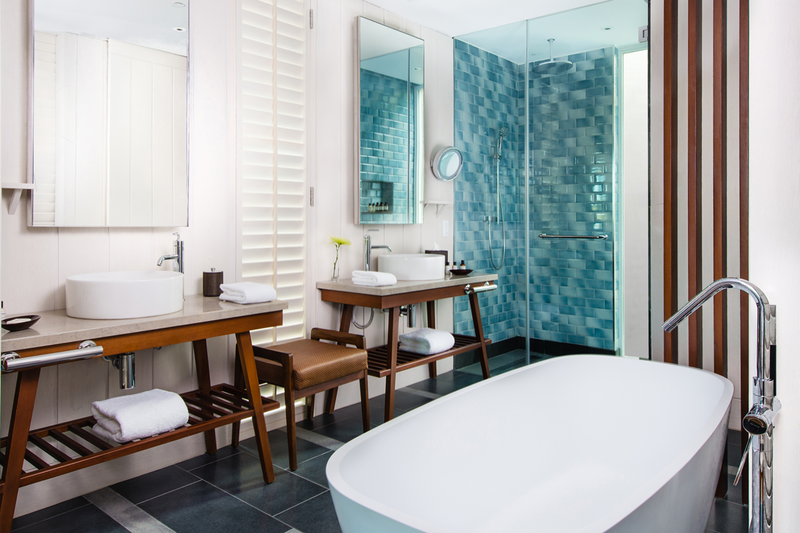 feet, king bedded suite with private plunge pool and sun terrace. 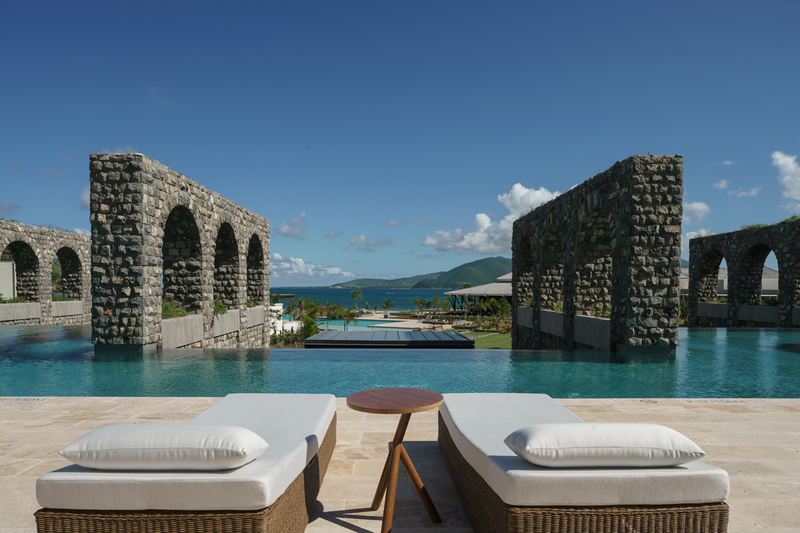 Enjoy views over the narrow straits between St. Kitts and Nevis. Penthouse Suite (2) – 1,119 sq. feet, duplex level suite featuring a king bed and indoor lounge on the entry floor. 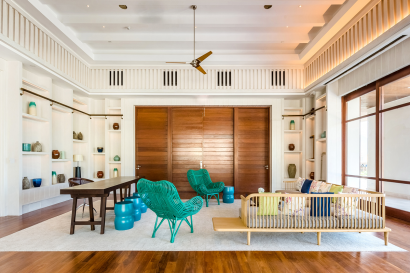 The top floor features a private swimming pool, sun deck and relaxation area, enjoying spectacular views of the Caribbean Sea and Nevis. Presidential Villa (1) – 5,210 sq. feet, three bedroom Presidential Villa located in an intimate position within the resort on the edge of Banana Bay. Accommodations comprise of one master bedroom, a king bedded guest room and a double queen bedded room. Private roof top swimming pool and lounge with sunken couches. Private gymnasium and games room. Meals can be prepared by your private chef in the kitchen and a dedicated butler is on hand. Park King/Double Queen – 527 sq. feet, facing the beach/sea, resort views, terrace. (5 Park Kings, 4 Park Queens, 4 ADA rooms). 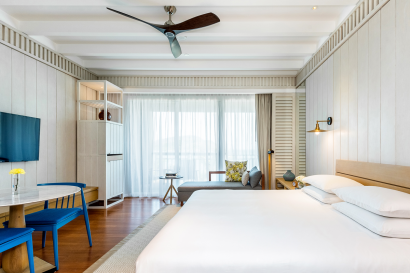 Beachside Room – 527 sq. feet, ground floor closest to the beach with terrace and views of Banana Bay. (20 Beachside Kings, 15 Beachside Queens). Sea View Room – 527 sq. feet, on the second floor with balcony. 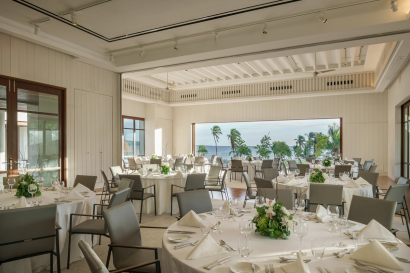 The Sea View rooms boast views of the Caribbean Sea and Banana Bay. (21 Sea View Kings, 9 Sea View Queens). Number of rooms, (keys) in all: 126. 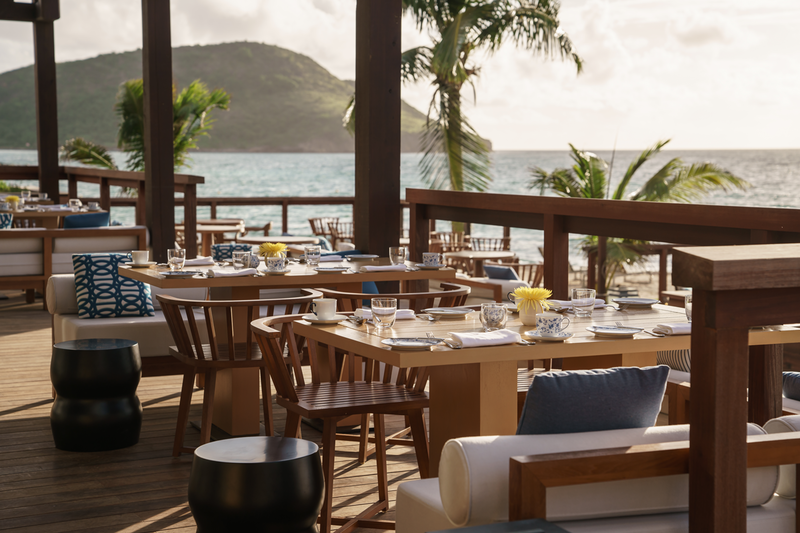 Fisherman’s Village – Ocean to table family dining experience celebrating freshly caught and prepared fish – lunch/dinner. The Stone Barn – Adult-only venue offering cuisine from the hearth using traditional ingredients for sharing – Dinner. Rampart Pool Bar – at Rampart’s Pool (adults only), serving light refreshments and drinks. Miraval Life in Balance Spa – nine treatment rooms. Selection of body/facial treatments and massages available. 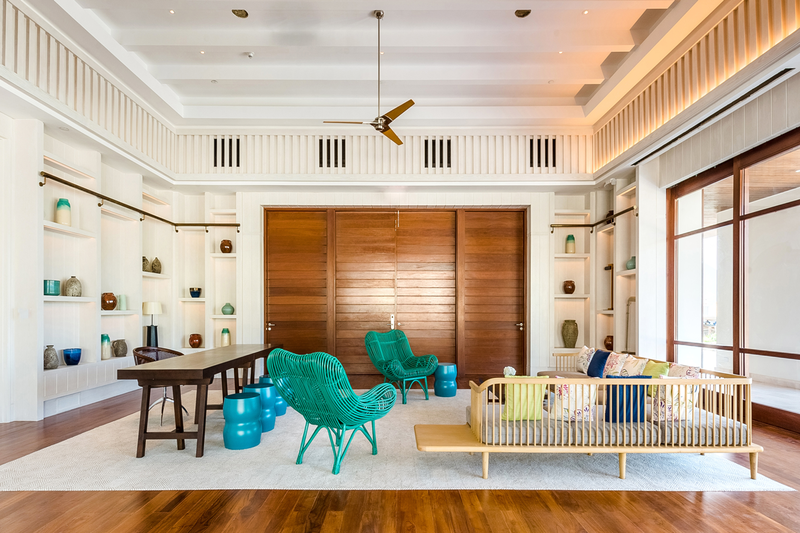 24-hour health club, and the Sugar Mill forms a tranquil location for yoga and meditation. 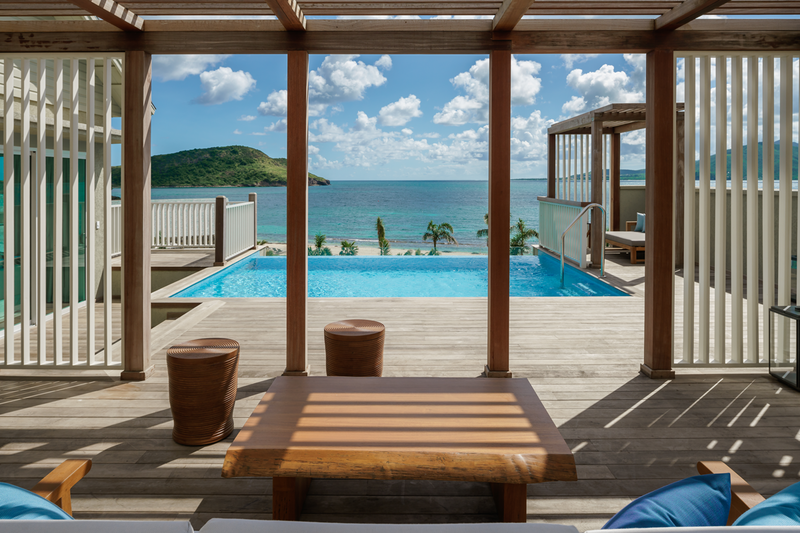 Lagoon Pool – Family swimming with views over the beach and Caribbean Sea. 6 Pavilions (cabanas), are available to rent. Ramparts Pool – Adult’s only. 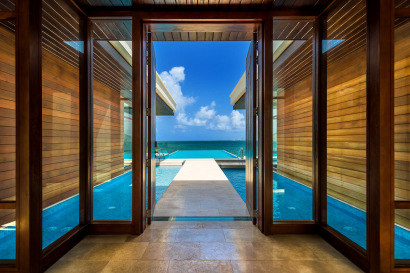 Direct beach access with sunbeds and swimming in the Caribbean Sea. The Recreation Hut offers complimentary non-motorised watersports. Motorised watersports are available next door at Cockleshell Bay. Soccer and Volleyball are available via the Recreation Team. Mountain crest trails on the rolling hills behind the resort. Babysitters are available daily from 8:00am to 11:00pm. Water taxis to Nevis are available from the resort’s jetty. Concierge can arrange tours and experiences, including a Sunset Catamaran Cruise, Zip-lining or an Island tour.